Shirley Ann (Proctor) Winebrenner, 78, Gauley Bridge, passed away July 27, 2018. Danny Marks, 56, of Walton, died July 26, 2018. Graveside service will be 2 p.m. Thursday, August 2, at Danny Marks Cemetery, Walton. The family will receive friends after 5 p.m. Wednesday at the John H. Taylor Funeral Home, Spencer. Angela Hope Browning, of Danville, passed away July 29, 2018. Graveside service will be 11 a.m. Wednesday at Danville Memorial Park. Arrangements by Handley Funeral Home, Danville. 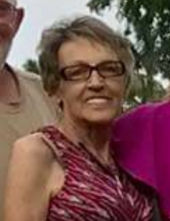 Shirley Bratton, of Wharton, passed away July 28, 2018. Service will be 2 p.m. Tuesday at Handley Funeral Home, Danville. Friends may call one hour prior to the service. Arrangements by Handley Funeral Home, Danville. Vera Lee (Gray) Daniels, 84, of Prosperity, entered into rest July 29, 2018. John Robert Smith 85, Nitro, West Virginia, went home to be with the Lord peacefully on July 29, 2018, while surrounded by his loving family. He was born on January 4, 1933, in Mount Hope, WV. 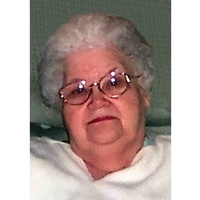 Virginia Ann “Genny” Mooney, 87, formerly of St. Albans, passed away Sunday, July 29, 2018, at Mercer Nursing and Rehabilitation Center in Bluefield, WV. Frankie Sowards, 66, of Yawkey, passed away July 29, 2018. Graveside Service will be noon Thursday, August 2, at Cobbs Cemetery, Tornado. Koontz Funeral Home is in charge of arrangements. Wanda Rafferty – Aliff, 71, of Ridgeview, formerly of Vestaburg, PA, passed away July 26, 2018. There will be no service at this time. Arrangements by Handley Funeral Home, Danville. Howard Keene, 76, of Charleston, passed away July 28, 2018, at The Eastbrook Center. Rodney Gieger, 65, of Charleston, passed away July 28, 2018. Preston Funeral Home of Charleston is in charge of arrangements. God needed another angel so He chose Mary Frances Howard. She fell peacefully asleep in the Lord in Charleston, West Virginia, on July 29, 2018, surrounded by loved ones.